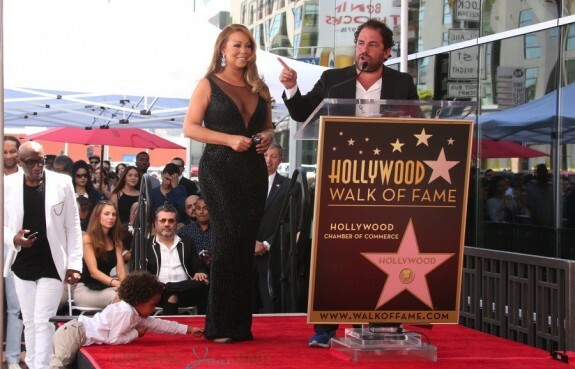 Mariah Carey during her Hollywood Walk of Fame Ceremony in Los Angeles when her twins started to run amok while she was being presented with her plaque and star. The day started off well. 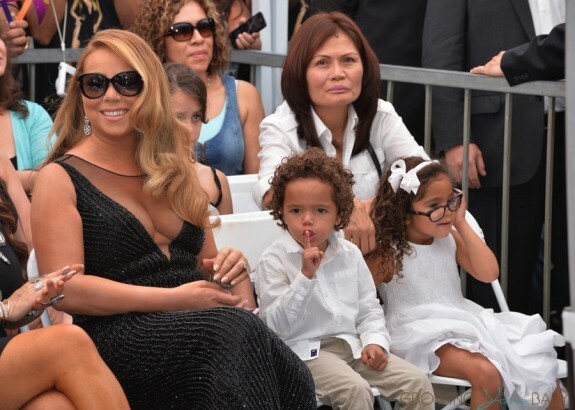 Twins Monroe and Moroccan were seated in the front row with their mom.Moroccan refused to be separated from his mom. 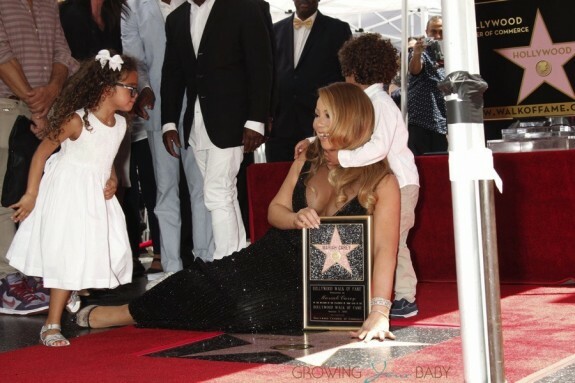 While she was on stage accepting her award the 4-year-old could be seen grabbing her dress calling ‘Mommy, Mommy’. “I love you, Mommy” he declared into the microphone. 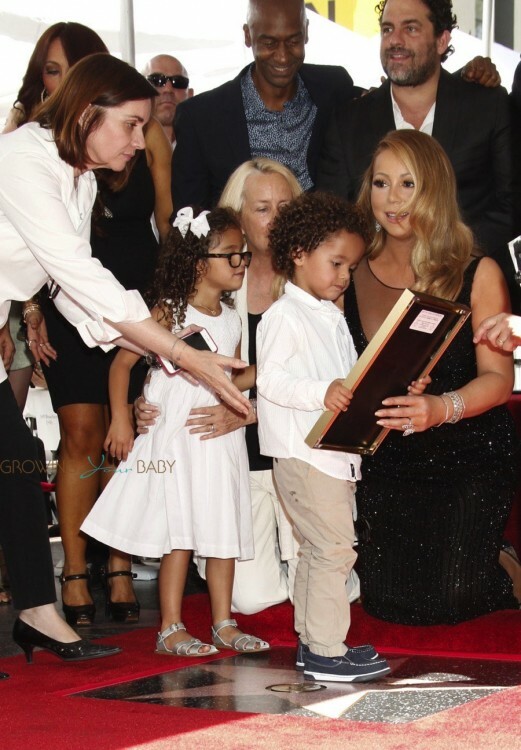 Not wanting to be upstaged by her brother, Monroe then told her mom she wanted a little mic time too, adorably protesting her love as well.